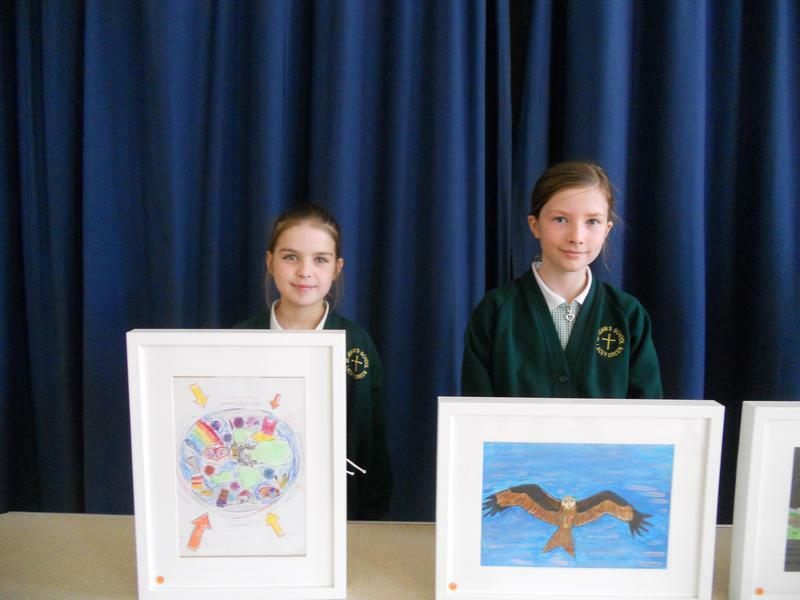 Winners of the Princes Risborough Rotary, Art Competition were presented with their prizes during this morning's Celebration Assembly. Local artist, Dennis Syrett, who presented the prizes to our winners, was accompanied by John Biggs the Rotary President and Stephen from Art & Office, who had generously donated the prizes. 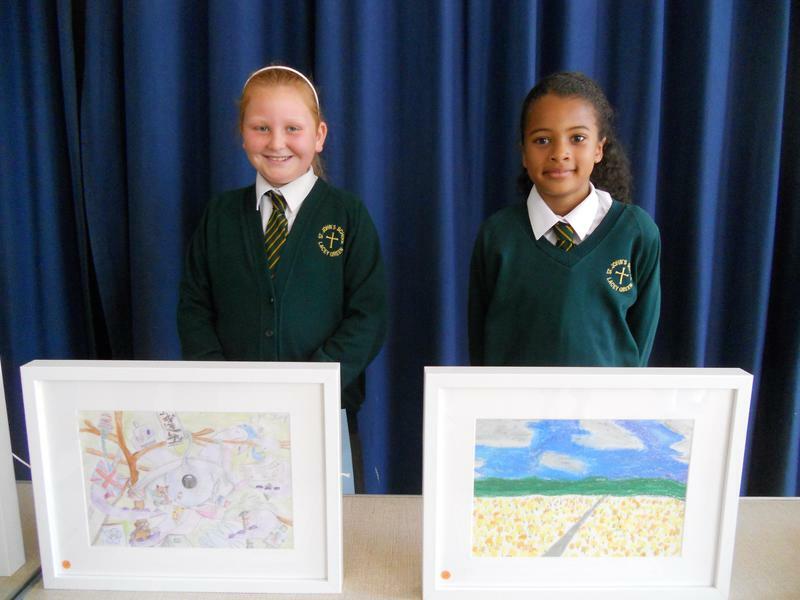 Certificates of commendation were awarded to Poppy P and Liberty P. St John's prize winners, Olivia L (1st), Jessica D (2nd) and Rose S (3rd) received certificates and also prizes of some lovely art materials. Olivia was also awarded a special prize for being the best overall junior in the competition which was a fantastic achievement. The children also had their work specially framed. Many thanks to Stewart, who encouraged his Art Club members to participate and to the parents who supported the children.